The National Plastics Exhibition, or NPE, happens every three years in Orlando, Florida. The fact that it is dubbed National is besides the point, there were companies from around the world showcasing their new technologies. I was graced with the opportunity to attend as part of my PhD studies for 3 days and I have to say it was overwhelming. According to their website, NPE 2015 was to be attended by over 2,000 companies and 60,000 plus industry professionals. NPE's focus for the show included 3D printing, recycling, bioplastics, nanotechnology, and business startups. Every single topic I am very passionate about. There was even a giant mobile of 3D filament spools as we went down the escalators to the show floor. For those who do not know my Bachelors degree is in Nanotechnology Engineering and I studied Nano-Bio-Composite Plastics for my Masters thesis; 3D printing is now the focus of both my PhD and Structur3D. Go figure! 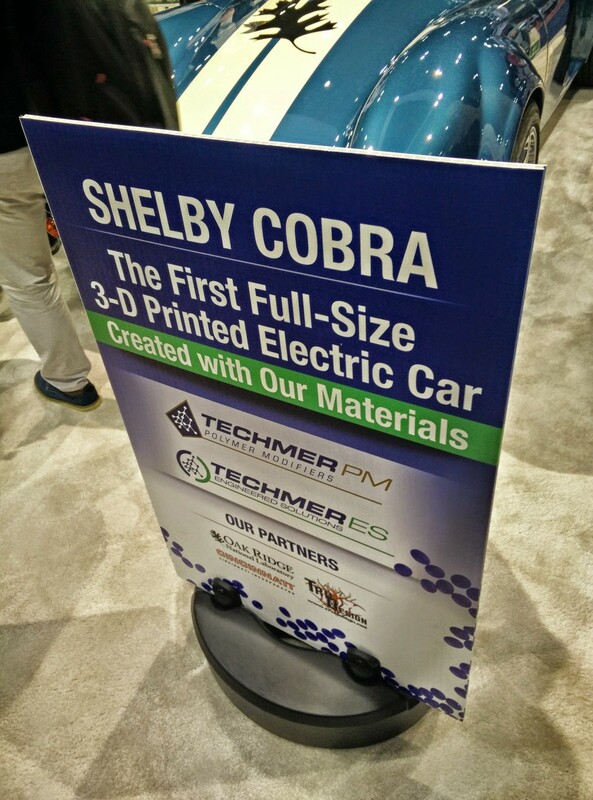 Because of the 3D printing focus, I was given another opportunity to see the worlds first full-size 3D printed electric car, a 50th anniversary Ford Shelby Cobra. 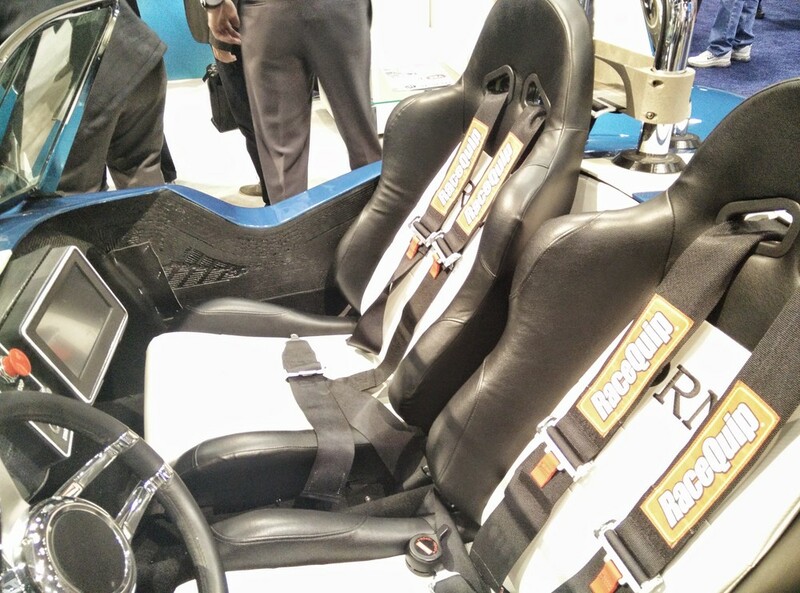 The rebirth of the 3D Shelby was thanks to a collaboration between TechmerPM and Oak Ridge National Labs (ORNL) as a part of Obama's $259 million dollar investment into additive manufacturing. Obama even got to take the first peek inside. The 20% carbon reinforced ABS was formulated by TechmerPS and printed on the ORNL Big Area Additive Manufacturing (BAAM) printer. Motivation for the project comes as part of a US Department of Energy project attempting to print components 10 times larger and 200-500 times faster (in volume) than previously capable with FDM technologies. 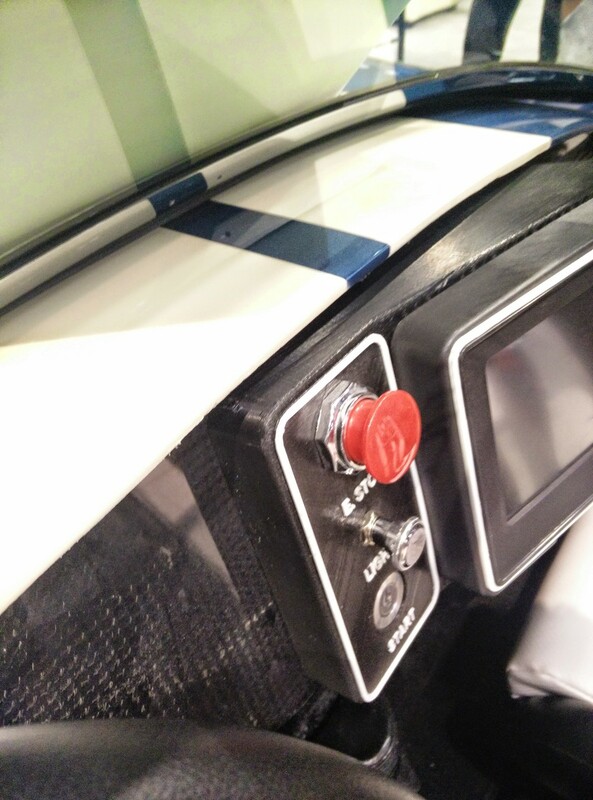 Taking a closer look at the 3D printed car, it has a much more complete finish than the Local Motors Strati printed on the same machine. That is to be expected, as the Shelby Cobra project is demonstrating a high end application, whereas the Strati wants to embrace the 3D printing process. The surface finish is considered Class A. That being said, upon closer inspection you can see the artifacts of 3D printing (maybe on purpose). Have a look at the gallery below to see the 3D printed Shelby Cobra up close. There even appears to be some additively manufactured metal pieces hidden in the design. Overall, I love the design! Now I just need to see it run to prove it is more than a super-golfcart. 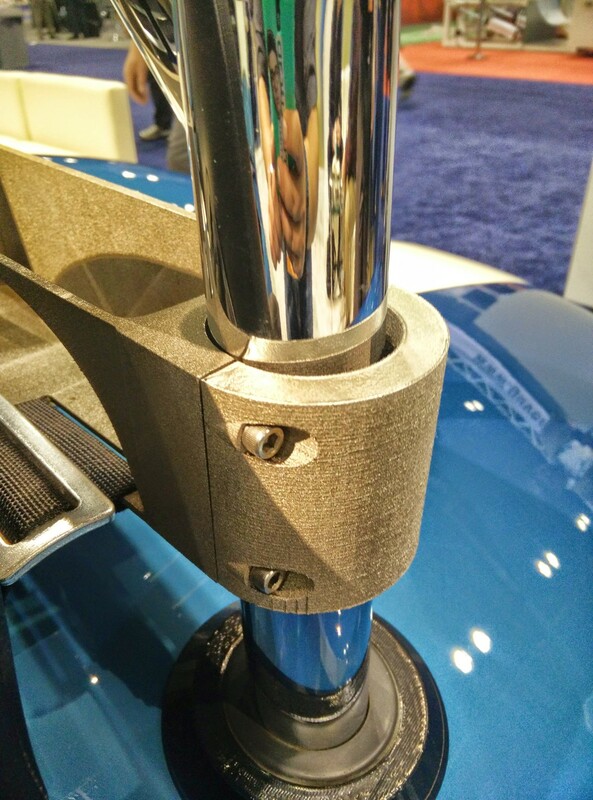 The Shelby Cobra wasn't the only 3D printed car at NPE, my old friend the Local Motors Strati was on display. Read what I had to say about the process of 3D printing the Strati (it was made on the same Oak Ridges National Laboratory printer) and my chance to take a test ride HERE. I would love to hear what you think of 3D printed cars. Are they here to stay? Or just a fad? Perhaps there is a special use we haven't thought of yet. Feel free to comment below.